Posted 13 November 2017 by Sam Brickley & filed under Articles, Business, Design, Marketing, Money. Your business if growing and on it’s way, and it’s down in no small way to your hard work. You’ve poured your heart, soul, and bank account into it and are starting to see the light at the end of the tunnel. The light being some return on the money you’ve spent. But what do you do with that money? Spend it? Well, yes, but it’s what you spend it on that’s important. Everyone has bills to pay, and as a business owner you probably have more than most people do, and yes you deserve some of that money being spent on yourself. But if you want to see the continued growth of your company, you need to be putting some, if not most, of that profit back into your business, so that you can see larger returns in the future. Growing your money takes some money-smarts, so if you don’t have it, find someone who does and cling on to them like Rose did to that door at the end of the movie. (There was enough space.) Investment opportunities are everywhere, you just need to know where to look and how to use them to their full potential. Smart investments should reap a profit, however, parting with your money is always a risk, which is why it’s a better idea to spread your money out rather than lumping it all on one enterprise. You can’t just blindly throw your money at something and hope that they just fling more back at you. Your money can make money. Investing in a high-interest savings account or a cash ISA can ensure the growth of your money. The only way this process won’t be beneficial is if inflation is higher than your interest rates. The way to combat this is to choose your account wisely and keep an eye on the economy. This is where your door (financial advisor) comes into play. They know more about these things than you, if they tell you to pull your money, you pull it. You won’t lose money, as it is secure in your account, but your savings won’t gain anything, and there is always the chance of a bank going bankrupt and then you really will lose your money.. 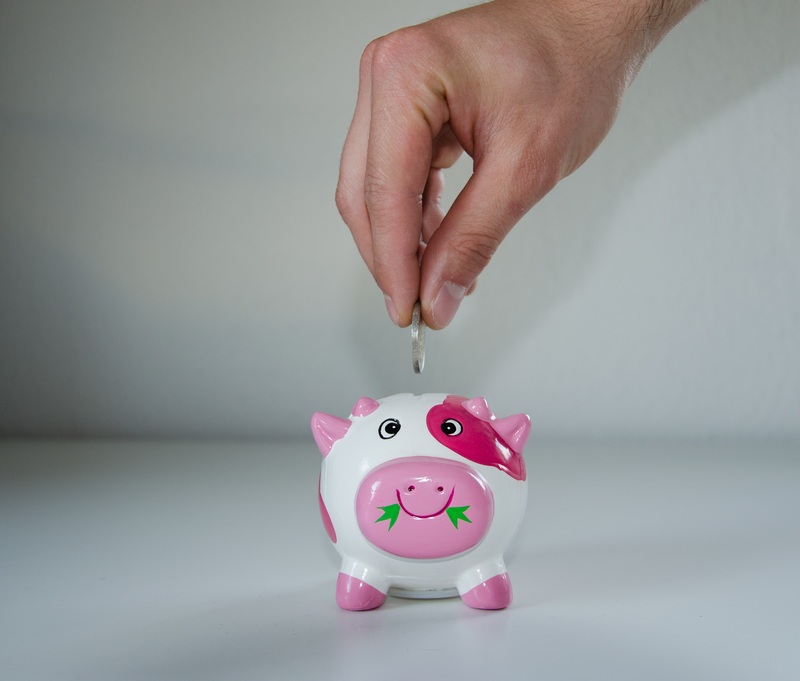 When opening a savings account, choose one with a fixed interest rate. And make regular deposits of a set amount. A ‘bond’ is when an individual lends a company or the government an amount of money for a set amount of time. You want to be the one loaning the money, not the otherway around. Usually, the company’s physical assets are used a collateral damage, so make sure that the bond is all above board, with signed contracts. If the other company fails to pay you back, you then have legal documentation that proves they owe you, that piece of paper will be worth however much you loan, and is a lot more binding than a pinky promise.. A corporate bond is considered riskier than a government bond, so the interest rate set on a corporate bond is almost always higher than a government loan. This is how you make your profit. The stock market is a confusing, graph-and-statistic filled mess that only magical people can understand. But it’s also a profitable thing. Done right, you can make millions. Again, you should confer with your financial advisor before you do anything. Buying stock means to buy a share (or shares) of a business. The shares you own will either go up or down in value and will continue to fluctuate on a hourly basis. The idea is to sell your shares while they are still high in value, but you can make a loss if a company fails or if you hold out for too long. There are many things that affect the stock market including other companies, sales, politics and natural disasters. If you get involved in the stock market you need to do one of two things; the first is to become immersed in the shares world and track the goings on for yourself. The second is to hire someone you trust to do it for you. Buying property is a really good investment. If you are buying a house to live in, then any improvements you make over your time there will be an investment for when you eventually sell. You can also look to buy a house abroad. This can be rented out as a permanent home or a holiday home, where you can use it whenever you want to. You can also look at subletting; where you rent out a place you’re renting. Look at things like these hdb flat rental prices, to get an idea of how much it would cost you to take this route. And of course, you can then sell or end your rental contract whenever you need to. When selling any property make sure you are selling at the right moment – the real estate market fluctuates between being better for the buyer and being better for the seller. Keep an eye on the market and time it right. Investing in art can bring in major money. But, as with any investments in collections, it takes time, and you need to know what you are buying in the first place. You may find the next Michelangelo, but then so will many others. Art is particular and down to personal preference, so get advice if you don’t know enough of the industry to make an educated buy. Also, you need to make sure you are buying the real thing. Don’t buy art online, and only buy in an auction if you are positive that it’s the original, not a replica. Wine is another thing that can take years before it becomes profitable – this is because if you are buying an old bottle of fine wine, you are likely to be paying cost price, and so will have to wait for a few more years before the price tag goes up. Collecting wine is a practised art – you need to know your region’s, your vineyards, your types of wine, and your grape years. There’s no point buying the best English Red from 2012, as the grape harvest that year was below par – in all fairness, most English vineyards scrapped their entire harvests that year as the grapes were so poor.